Why Is Changi Airport The Best In The World? Changi Airport recently set a new record as the first to be named the best airport in the world in a survey of more than 13 million travellers for six consecutive years. With an array of amenities and service that are second to none, this comes as no surprise to anyone. Our international airport is more than just an airport — it even attracts visitors without any intention of travelling or seeing a loved one off before they leave the country and has a rich history. Changi Airport rises well above the needs and expectations of an average airport in a wide array of daily operations including security, shopping and leisure, as well as immigration process. 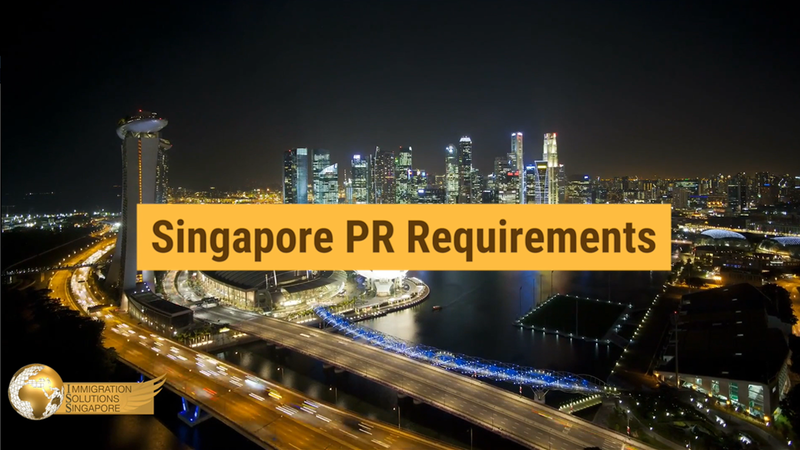 As a Singapore permanent resident applicant, you may be pleased to learn that Changi Airport greatly reflects the culture and values that Singapore believes in. Let’s take a look at a few of the many reasons why Changi Airport has been such a consistent performer for so long. Changi Airport boasts some of the finest eateries to cater to every visitor’s different needs. With an impressive variety in both cuisine and price range, the airport does not simply meet the bare minimum. Weary travellers and other visitors are free to choose from a total of over a hundred food and beverage outlets. These range from brightly coloured family-friendly eateries and halal steakhouses, to cafes and more affordable food courts. This is not unlike the general availability of affordable good food across the island of Singapore that keeps residents in the pink of health through proper nutrition. Food has always been a top priority here in Singapore, a country that has stringent laws in place to ensure the safety and quality of every food available for sale. No international airport is complete without basic infrastructure, but this is where Changi Airport goes well above and beyond the minimum. Innovation is always the order of the day here in Singapore — and Changi Airport is no different. Continuous efforts are made to add new features that are not usually found in most other international airports around the world. These include a rooftop swimming pool that features a Jacuzzi and, of course, complimentary WiFi for every single visitor in every terminal. Transit areas even feature 24-hour spas that are available to anyone who wishes to pay a little extra to unwind after a particularly long, gruelling flight. Our airport infrastructure is so advanced that it also enables ground staff to work efficiently. Many travellers often require sheer minutes to get from their flights to walking out of the airport since immigration checks and luggage claims hardly take much time to complete. This is particularly impressive, considering the fact that Changi Airport is among the busiest, working with over a hundred airlines from all over the world. Travellers passing through Changi Airport also frequently rave about service from airport staff. Everyone is treated with the utmost respect and politeness, and no one is discriminated for their race or religion, or unjustly prevented from enjoying the available high-class amenities. One does not even need to be wealthy to enjoy spaces to unwind in a luxurious setting. These spaces are even nearly equal in quality to business class or frequent flier lounges that are found in many other international airports. The same values are generally reflected across the island of Singapore, beyond just Changi Airport. All Singapore residents are on equal footing, regardless of cultural roots, social standing, or extent of wealth. One of the many ways this is made possible includes the incumbent government’s efforts to maintain peace in its multicultural population through awareness. Singaporeans are always encouraged to learn about other cultures, thus fostering a greater understanding of our differences. 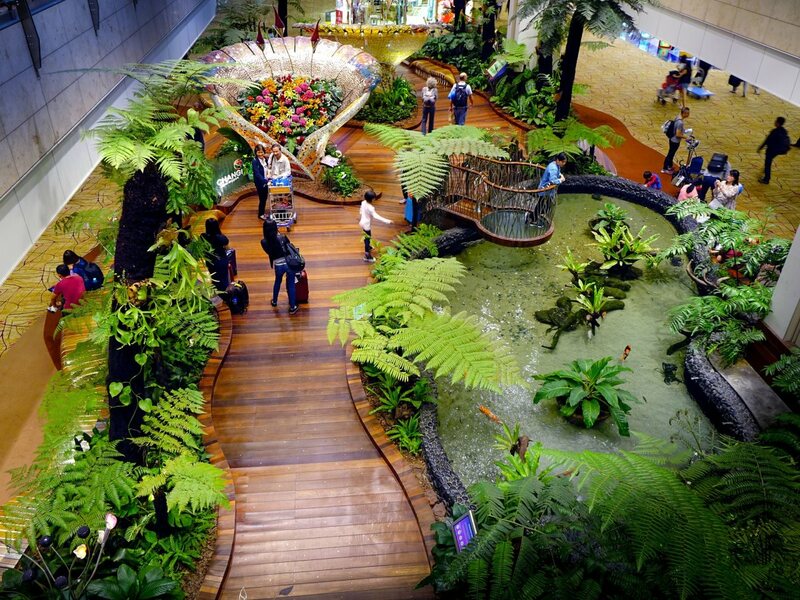 Changi Airport is also one of the most beautiful airports in the world. The interior is thoughtfully decorated with calming art installations, carefully selected greenery, as well as structures that aim to bring a sense of peace and calmness. In Terminal 1, an art installation called Kinetic Rain is a particularly calming sight for nervous or tired travellers. Visitors may also choose to partake in relaxing interactive art at art rubbing stations found in every single terminal. These feature woodblock art or local Singapore icons, including the famous Merlion, as well as Changi Airport itself. Both plenty of paper and crayons are also readily available in these stations for use and you are free to take your own finished artworks home as mementos. This emphasis reflects the Singapore government’s recently increased efforts to encourage the growth of the local arts community. The National Arts Council continuously supports local artists and arts organisations through financial backing, under the purview of the Ministry of Culture, Community and Youth (MCCY). They believe that instilling in its people the appreciation of and engagement in the arts provides people with a channel for learning as well as self-expression. This also serves to strengthen our country’s well-known reputation for having a robust and holistic education system, that encourages its people to engage in lifelong learning.